Over the years, many individuals who lose their car keys have turned to Elite Local Locksmith Wigan for key replacements. This is primarily because we have built a solid reputation over the years of providing reliable and professional services. Our services are also affordable as compared to towing away the car to the dealership. Moreover, our lost car key services are time saving. All ours services are carried out on site thus saving the individual precious time. After loosing you car keys, you should not panic but contact us. After telling us your location and car model, our locksmith will come to your rescue. A point worth noting about Elite Local Locksmith Wigan is that unlike other locksmith services company, we strive to find your lost car keys. There are numerous methods which our experts replace lost car keys. Firstly, our locksmiths may cut your car key code from the vehicles ignition lock or door. This method of key replacement is fast due to the fact that it does not involve a lot of procedures. Elite Local Locksmith Wigan locksmiths use advanced software to make sure that the keys cut are identical to the master keys being used. To this end, we use advanced computers software. Secondly, the car key may be cut from the vehicle’s ECU system. Most cars and vans in the country are fitted with ECU systems. Vehicles fitted with ECU systems require transponder keys. Our locksmiths are well versed in creating transponder keys. This is done in two stages. Firstly our locksmiths will retrieve the ECU system of the car and change the code. Reprogramming the ECU system ensures that the car can only be opened or started with a key that is similar the ECU system. Secondly the production of a car key .This process takes a few minutes. Our services are offered all round the clock. Moreover we do not charge call out fees for those who have lost their car keys and require replacements. We seek to ensure that our clients are served well. 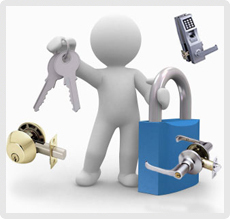 Consequently, Elite Local Locksmith Wigan has a customer service team which is friendly and helpful. You are bound to have all your questions answered by the team if you contact us .You will also be given a quotation of our lost car key replacement services and other offers. We pride ourselves in having setting high standards our specified services in the town. Moreover, our diligence when carry out our work has endeared us to many clients in the town. We provide the best lost car key replacement services in the town. We also endevour to continue keeping our clients happy. Contact Elite Local Locksmith Wigan for the best deal in town.